New in Vegas? Feeling alone? Not anymore. There are so many groups in Vegas; the list is endless. Raw food group, tennis group, seniors group, beer lovers group, girls night out, overweight hikers group, sushi lovers group, mom's group, camping group, line dancing group, WordPress groups, Linux group, religious groups, chefs, crafting, electronic dancing, board games, writers, politic groups, mountain bikers, and much more. There are a couple of meetup groups in Henderson as well. There will always be a group that fits your life style, your hobbies right here in Vegas. Here are some of these groups. Almost all of them are free of charge; some will ask you a dollar or so to pay the fees to meetup.com. But there are some photography groups that will charge you more than that just to be a member. It is a good idea to ask about fees before joining. 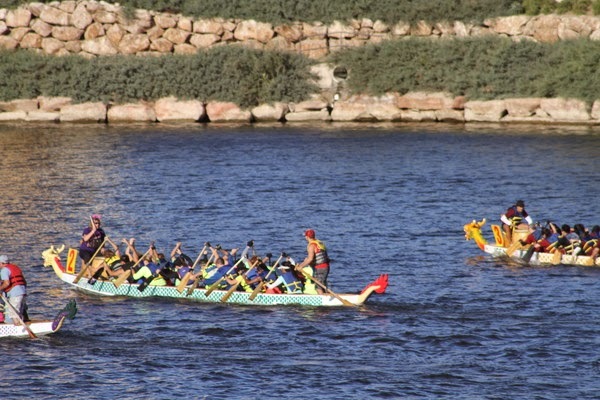 The Las Vegas Dragon Boat Club brings year round paddling to the Vegas area. We hold open paddle workouts on a regular basis, and allow local competitive teams paddling throughout the winter and early spring season. A business networking group that allows business owners and entrepreneurs to be casual and still create contacts and strategic alliances. We are building a group of easy-going people who love the simple act of running (or walking or both). Everyone is welcome to our meetups. We have beginners and advanced runners. Our focus is on building an inclusive, supportive training community in which we get together for an hour or two a couple days per week in South Las Vegas and learn the art of running, strength training and flexibility for runners, go for a run and enjoy some good coffee, camaraderie and conversation afterwards. We feature hikes for all skill levels, road trips, camping, and social gatherings. We have events at a huge variety of times, places, and days. We even hike at night! With dozens of organizers and an average of more than an event a day, you're sure to find activities to suit your fancy. We are a family oriented off road group which focuses on trail rides in the nearby national parks, monuments, and recreation areas. All the trails we drive can easily be driven with stock Wranglers, although 4WD may be required on occasion. This group is the place to go to mix & mingle with others who love to dance the night away to live music of new wave & 80's cover bands, and attend concerts of aging hair-bands currently on tour, as well as popular headliners re-inventing themselves today! Most activities in this group cost $5 or less. There's so many fun things to do in this city without emptying your wallet, we just need to let everyone else know. The purpose of Mingling Singles is to unite singles who are seriously searching for romance and their ideal relationship partner. This meet-up offers the opportunity for busy singles to relax, unwind, mix and mingle in a fun, pressure free, laid-back setting.